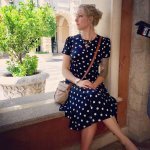 Before tattoos became a trendy fashion decision, they were taboo in many cultures around the globe — including American society. Just a handful of decades ago, the only groups who dared ink their skin were soldiers (usually belonging to the Navi), circus performers, and groups of people who lived on the “fringe” of society (bikers included). According to the book 100 Years of Tattoos, members of the Navi typically received tattoos as “a sort of patriotic act.” Artist Paul Rogers was one of the first tattoo artists to ink soldiers’ skins; his typical designs were of eagles and other winged creatures. Rogers influenced Ed Hardy, whose main designs included American flags, plump hearts and buxom women. Over the years, sailor culture influenced what kinds of designs were inked into people’s skins, and iconic “sailor” tattoos were born. Traditional tattoos sailors received range from diving swallows to crossed anchors to nautical stars. 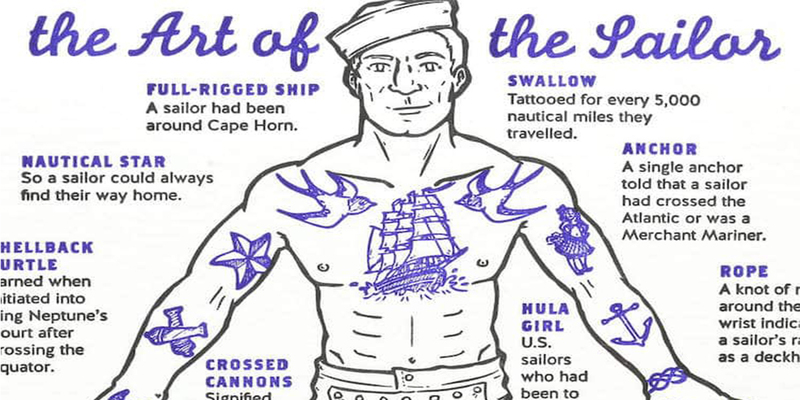 Now, thanks to a helpful illustration by “Adventure Cartoonist” Lucy Bellwood, we finally have an understanding of what many of the tattoos meant — and mean to this day. 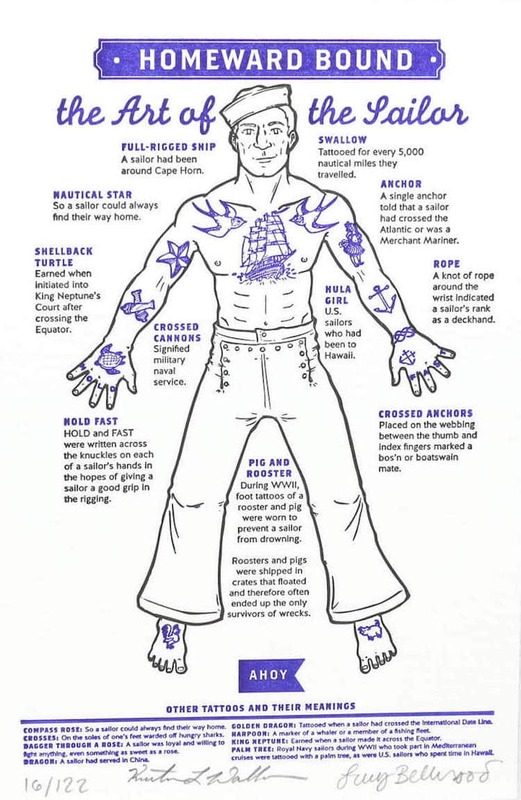 The nifty illustration, entitled The Art of the Sailor, depicts a tattooed sea traveler whose entire body is covered with tattoos. Each is named and defined. As MyModernMet reports, each symbol tells a story of journeys made along the open water. We’ll bet you didn’t know that a swallow represents 5,000 nautical miles traveled, or that a hula girl means a U.S. seaman who traveled to Hawaii. Some tattoos signify good luck, while others are meant to direct a sailor home.
? Doctor Speeds Down Burning Highway On Motorcycle At 2 A.M. To Save 8 Preemies In NICU 7 (Brilliant) Ways To Save Money So You Can Travel The World ?